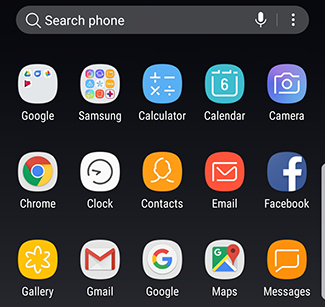 Galaxy Note8: How do I access all my apps on my Samsung Galaxy Note8 (SM-N950W)? With the new UI (User Interface), the old All Apps button has been removed but don’t worry! Accessing your apps is easier than ever. 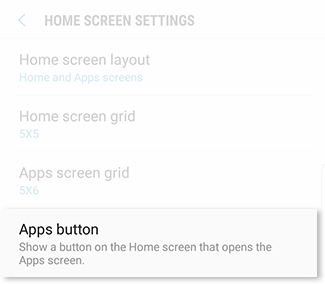 If you prefer the previous UI style, we can show you how to change it. 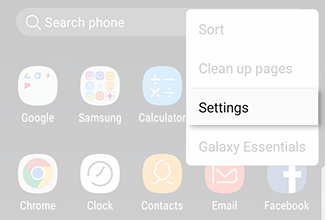 Note: If you miss using the Apps button from previous Galaxy phones, you have the option to add the Apps button to your shortcut. 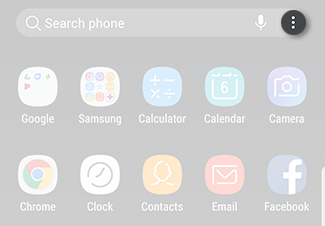 2 Touch the More Options icon. 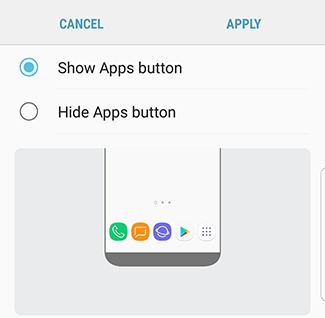 5 Choose Show Apps button and then touch APPLY.